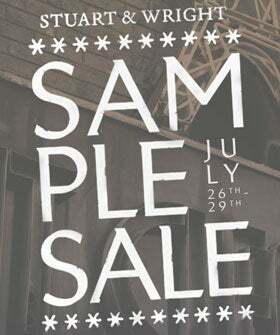 Isabel Marant, A.P.C., And Rachel Comey At Sample Sale Prices? Yes, Please! What's better than an ordinary sample sale? A multi-brand sample sale featuring some of our favorite brands ever, brought to us by Stuart & Wright, of course. The Fort Greene staple is not only offering mind-boggling discounts of up to 90% off, but also perfect pieces for layering during that all-too-rapidly approaching transition to fall. Those Rachel Comey booties we've been eyeing are in stock, as are a plethora of Acne knits, Isabel Marant frocks, and rag & bone tees — if we didn't know any better, we'd think this was a one-stop shop to fill those little voids in our closet. Heed our advice and make a bee-line for Stuart & Wright as soon as the workday ends (or take an extra-long lunch break) on Thursday. With gear this good, it's sure to sell quickly. When: Thursday, July 26 through Saturday, July 28, from 10 a.m. to 8 p.m.; Sunday, July 29 from noon to 6 p.m.
Where: Stuart & Wright, 85 Lafayette Avenue (between South Elliot Place and South Portland Avenue); Fort Greene; 718-797-0011. Photo: Courtesy Stuart & Wright.